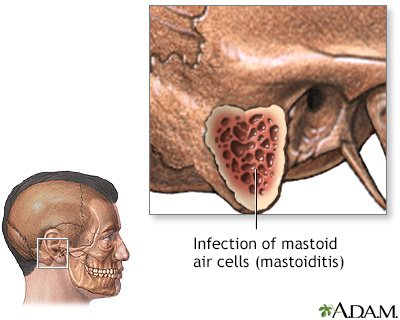 An infection of the mastoid air cells that cannot be controlled with antibiotics may call for surgical treatment. 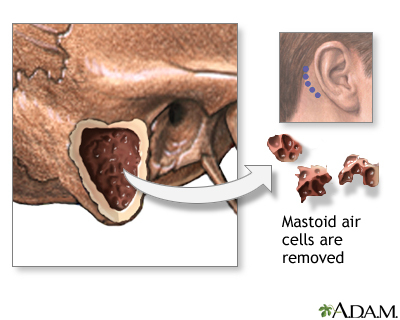 A mastoidectomy is the surgical removal of these mastoid air cells. 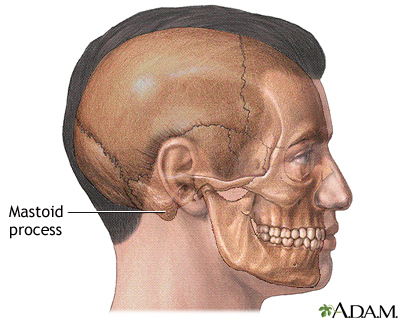 The surgery may extend into the middle ear.